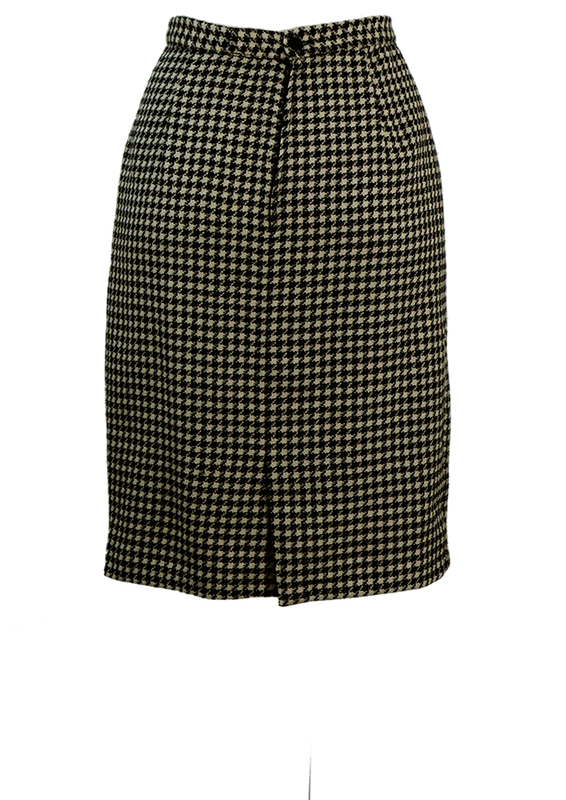 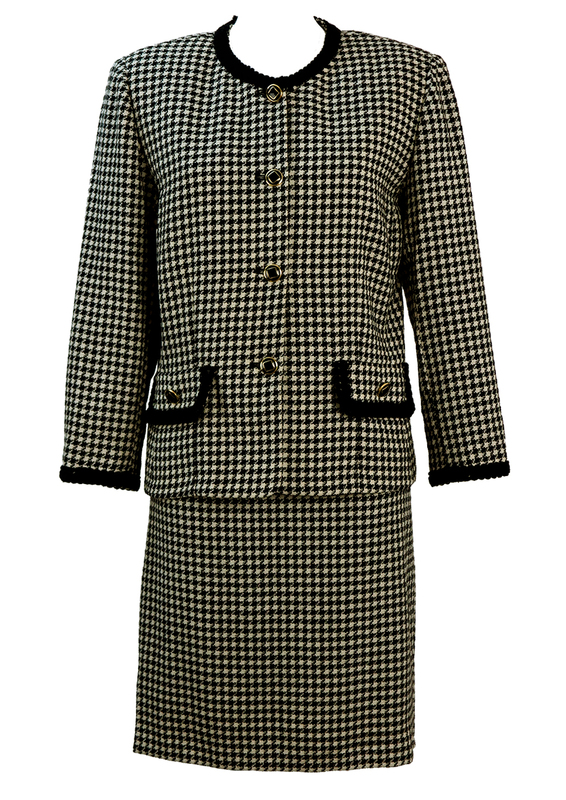 Pure new wool jacket and skirt two piece suit in a striking black and white dogtooth check pattern. 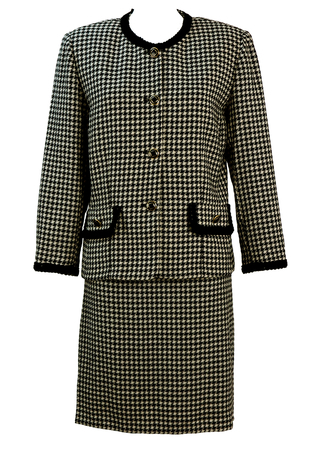 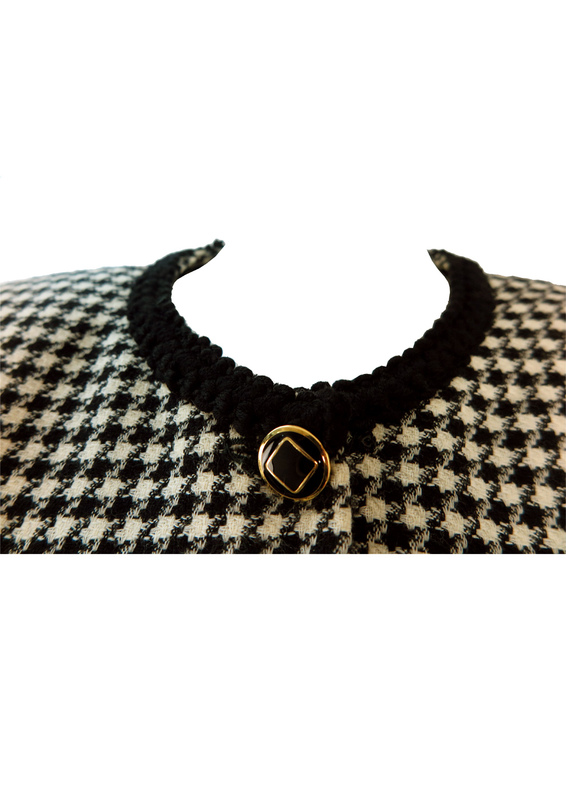 The suit has an elegant Chanel style to it with faux front pockets, black & gold embellished buttons and intricate wool braiding at the neckline, pocket flaps and cuffs. 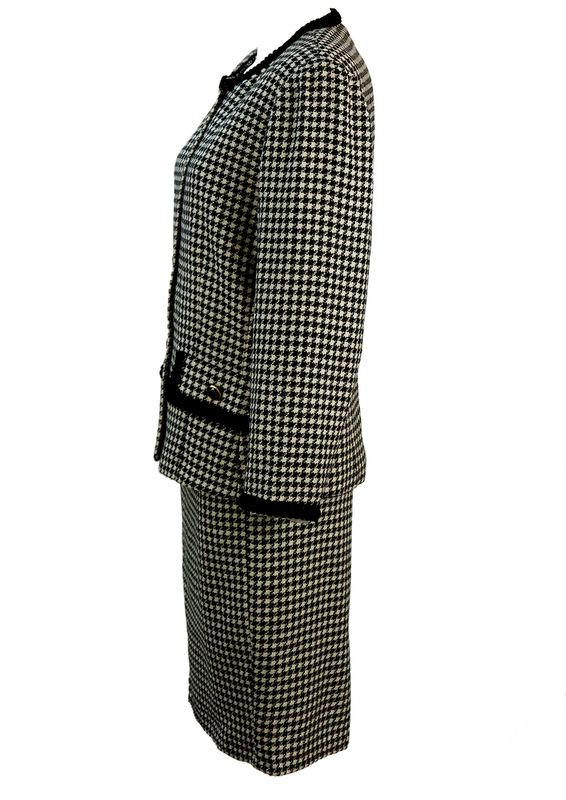 The suit is fully lined in a black satin-like fabric and is in excellent condition. 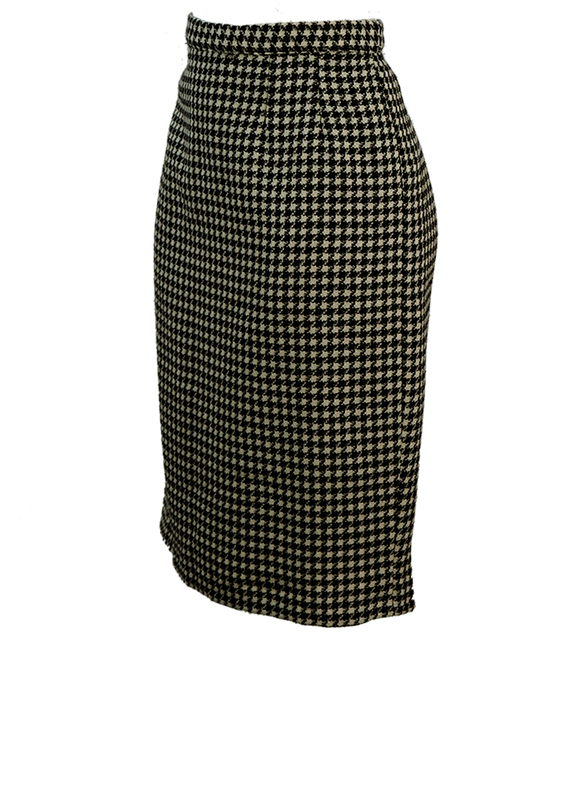 We have sized the two piece as between a size M and L depending on your chest and waist measurements. 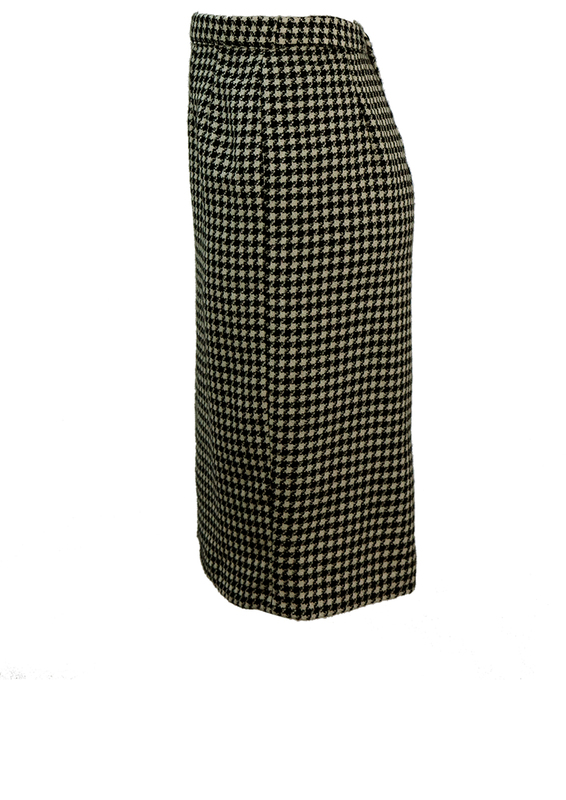 It’s possible that the suit was tailor made for someone so the sizing is less generic. 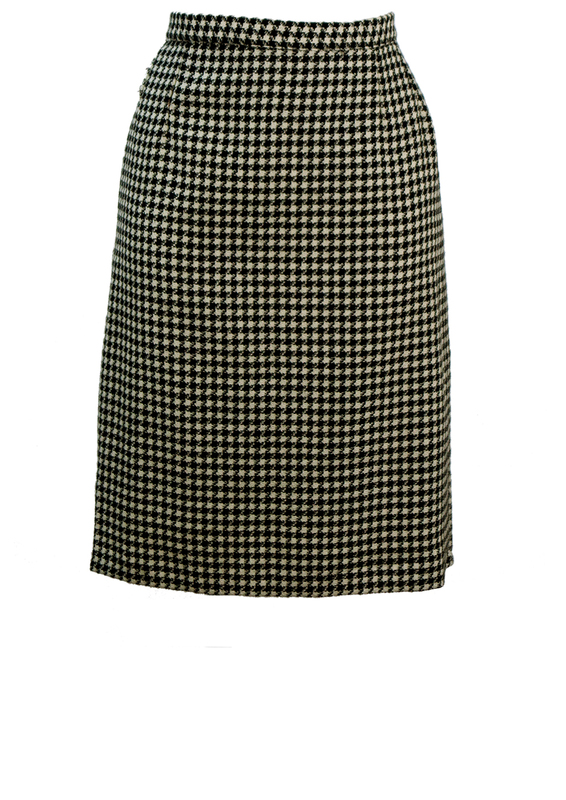 Please refer to our sizing guide for further information. 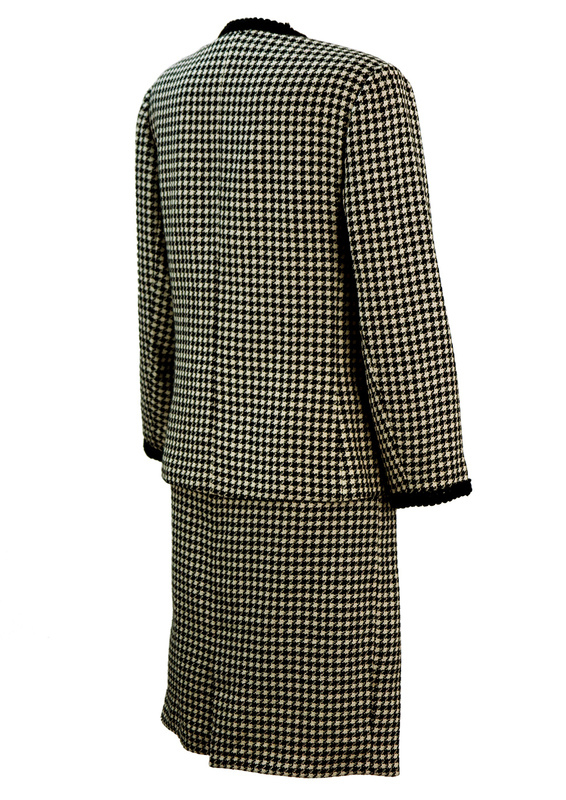 Jacket – 24.5", Skirt – 23.5"